On the 15th of March St Thomas’ Primary school attended the Active Aquatics Maghull schools swimming gala. We would like to congratulate Rowan, Tom, John , Georgie, Sam and Fionn. And to the girls Phoebe, Ava, Erin Molly and Lois. Well done to everyone who participated you did very well. A special well done to those who received medals- we earned a total of 11! On the 15th March our schools gymnastic team from Y3 and Y4 competed in a gymnastics competition at Chesterfield High School and came 2nd! We would like to congratulate everyone who took part. It is amazing how many talented children we have in this school we are so proud! These children show that you need to work hard to achieve and are so inspiring to all of the school ! 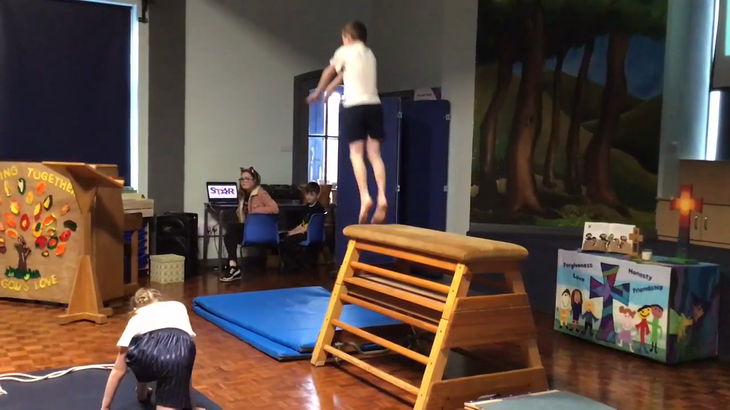 This morning (15.03.19) the Year 3&4 gymnastic team treated us to a rehearsal of their gymnastics routines as we entered the hall for assembly ahead of their competition this afternoon. We wish them the very best luck! 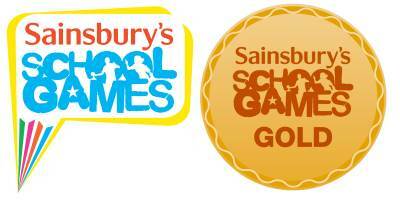 This year, we received the Gold School Games Kitemark for our commitment to school sports through our curriculum and extra curricular activities during the 2016/17 academic year. We are incredibly proud of this! At St. Thomas' we offer a wide range of sporting opportunities to our children. We encourage the children to participate in competitions with our local schools including football, swimming and cross country running. We are now also rewarding children for their dedication to sport outside of PE and games lessons through Children's University. We offer a range of after school sports clubs to all our children. This includes football across all the year groups, gymnastics, cross county, tennis, athletics and multi skills in Year One and Two. 1.1 Physical education develops the children’s knowledge, skills and understanding, so that they can perform with increasing competence and confidence in a range of physical activities. These include dance, games, gymnastics, swimming and water safety, athletics and outdoor adventure activities. Physical education promotes an understanding in children of their bodies in action. It involves thinking, selecting and applying skills and promotes positive attitudes towards a healthy lifestyle. Thus we enable them to make informed choices about physical activity throughout their lives. •to develop an understanding in children of how to succeed in a range of physical activities and how to evaluate their own success.